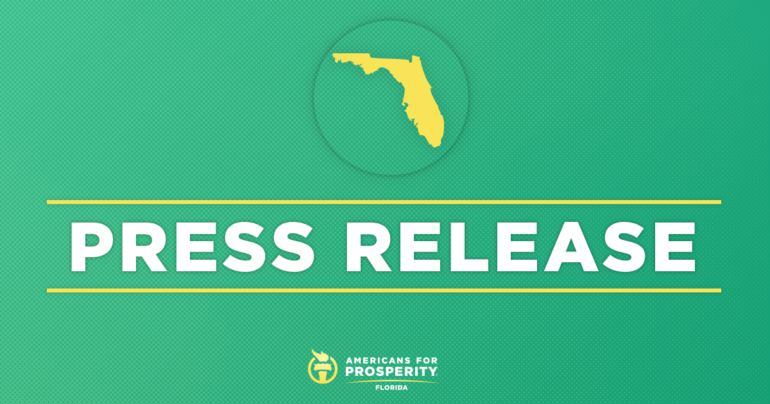 Tallahassee, FL – Americans for Prosperity-FL is hailing the Senate’s vote on HB 7055 as a win for Florida students and teachers. H.B. 7055 creates more accountability and transparency requirements for government unions and establishes the Hope Scholarship, which allows alternative education options for victims of bullying and harassment across Florida. It also makes permanent the Principal Autonomy Pilot Program that would increase the number of schools that benefit from increased administrative flexibility. “This bill is a win-win. It stands up for the rights of teachers who don’t want their money going to a union they don’t support and provides Florida’s kids with a better education options. We commend the Senate for passing this bill, and hope the House send it to the Governor for his signature as soon as possible. Last week, AFP-FL launched a direct mail effort aimed at thanking members of the legislature for supporting HB7055 throughout the committee process. The mailers called on citizens to thank their lawmakers for expanding education freedom options and transparency requirements for government unions. AFP-FL will score votes on HB7055 in its current form in their annual Economic Freedom Scorecard. If the bill is amended, the group will adjust scoring accordingly.